For carpets and flooring in the North East, MEH Company - The Flooring Centre, are the recognised experts. We are a second generation family run business with 50 years experience, and a reputation for friendly personal service backed by professional unbiased advice and recommendation. We have the widest range of carpets and flooring displayed in Newcastle's largest carpet and flooring display centre and aim to offer the best in value, quality, service and choice. Call us now to discuss your project! Resin Floors North East Ltd have been installing resin flooring and concrete floors across a wide range of industries, commercial premises and residential properties throughout the North East region for three decades. Tap into our Knowledge Expertise Vision Creativity and Imagination when choosing a resin or decorative concrete floor finish for your project or space. Global Flooring works for all rooms in your home and/or commercial property. We are a family run company that have been established in the flooring industry since 1982. Over the 3 decades we have been in the business, Global Flooring have built strong relationships with flooring manufacturers both in the UK and overseas to ensure that not only do we have one of the finest selections of flooring including Karndean, Vinyl Flooring, Laminate, Real and Engineered Wood and Rugs in our 10,000sqft showroom in Peterlee, that we always give our customers the best most competitive price. Rug Zone are a British online rug retailer who offer a large range of rugs and carpet runners available for next working day delivery to most of the UK mainland. 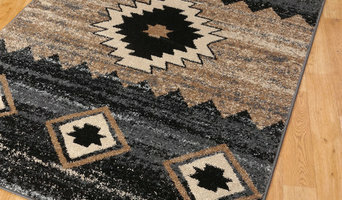 Many of the rugs we offer are exclusive designs. Independant supplier and installer of tiles, mosaics stone, Amtico, Karndean and Marmoleum flooring. We also specialise in reproduction Victorian floors and pavements. Large showroom open daily - please check our website for opeing hours. Direct Wood Flooring is one of the UK's leading online suppliers of solid and engineered wood floors. We aim to offer the widest variety of floors at the lowest possible prices - allowing everyone to find something that suits their project, no matter the price range. For a more in detail look, visit our website to see our timelessly beautiful, durable and environmentally friendly wood flooring. Off The Loom have been established to offer customers greater flexibility when choosing a stair runner for their homes in London & throughout the UK. We have a growing selection of stair runners available from stock. Our bespoke design & colour service offers clients the opportunity to create a design & colour way that will complement their interior without the huge cost surcharges, excessive minimum quantities & long delivery dates, therefore clients can expect 4-6 weeks delivery on most special projects. Multi widths of flatweave up to 5.00m wide are available, these are ideal for landings, bedrooms & rugs where clients do not want seams. Bowloom Ltd (www.bowloom.co.uk – 020 7622 0500) have been selected as our exclusive retailer to showcase our products, their extensive knowledge of flatweave stair runners & carpets are unmatched. Bowloom have a huge selection of co-ordinating carpets for your landings, bedrooms & reception rooms. From their central London showroom in Battersea they can offer advice on design, colour, installation and provide a fitting service throughout London & the South. Flooring Superstore offers a huge range of high-quality Carpet, Wood Flooring, LVT, Laminate and Artificial Grass at unbeatable prices. Our price-match promise means if you find our flooring cheaper, we'll match it and knock off a further 10%. We offer the same fantastic value in-store as online too, meaning our prices won't change. With our extensive in-house delivery network we can also deliver your flooring direct to your door within 2 working days. What are you waiting for? Order your Free Samples Online or visit one of our Stores today. Karpet Mills have a very simple philosophy – sell quality carpets at low, low prices – backed up by first rate customer service. We will not be beaten on price. We offer the lowest prices and the best service. For customers who haven’t visited us before, we invite them to see why we have been successfully selling carpets for over a century – old fashioned service; modern day, competitive prices. Please navigate through all of the categories to the left to see Karpet Mills is the leading quality flooring specialist in the North East. Suppliers and Installers of Seamless Resin Flooring Systems and Polished Concrete Floors since 1987 serving the Industrial, Commercial and Residential sectors in the North East of England. 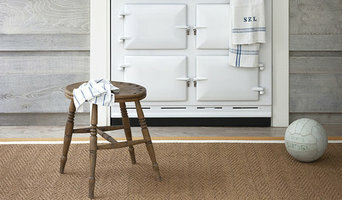 With over 10,000 designs we've got almost any type of rug you can imagine. From the contemporary to the traditional, the ordinary to the extra ordinary, we go out of our way to find designs from across the world that will make your floor look fantastic. We know buying rugs online isn't easy so we do cool things like our product video's and close up photography. The Granite Tiles give great image to the bungalows and resorts. The customers who desire to construct bungalows prefer to use the Granite Tiles manufactured by the Tiles Granite Ltd. Tiles Granite Ltd is selling the Granite Tiles for the past many years to the innumerable customers. There are different models and colors available in the tiles. These tiles are offered at minimal rates with guaranteed assurance for worthiness. Tiles Granite Ltd offers the tiles with the free of cost delivery choice to the buyers. BnC Laminate Flooring offers the supply and/or installation of quality laminate flooring and accessories at affordable prices. We offer a large range of laminate flooring to meet the needs of every household. We offer a wide range of colours, designs, patterns and textures. All of our flooring is 2 or 4 V grooved and AC4 or AC5 rated to ensure we only use the highest of quality flooring available to ensure it is hardwearing and suitable for a family home. 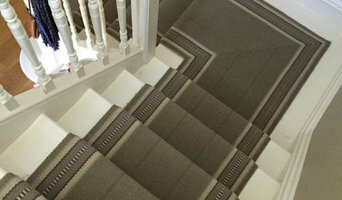 We are a global manufacturers of Stairrods, Trims, Stair Nosings & carpet accessories. With an extensive range of hard floor and carpet door bars for any flooring situation. We have been around for 30 years bringing quality products to the flooring market. Where can I find the best Newcastle upon Tyne, Tyne & Wear carpet fitters? A carpet professional will often both supply and fit carpets. A full service carpet professional can offer everything from a catalogue of carpet colours and pile options to carpet accessories like underlay, gripper rods and door plates. Carpet fitters will need to measure your home and they will provide you with an estimate for materials and fitting service. Similarly, if you need someone to help with carpet repair there is a dedicated carpet professional in Newcastle upon Tyne, Tyne & Wear just a few clicks away. Check the reviews of carpet fitters in Newcastle upon Tyne, Tyne & Wear and look out for those who are members of trade organisations such as the NICF (National Institute of Carpet & Floorlayers) or the National Carpet Cleaners Association (NCCA). 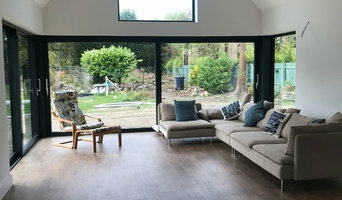 On Houzz you can search for flooring specialists and carpet fitters in Newcastle upon Tyne, Tyne & Wear and start to shortlist companies by adding your favourite images to an ideabook. Think about the style of flooring or design of carpet that might best suit your room and then approach the most relevant experts who can then fit your carpets, lay tiles, install hardwood floors or show you how to fit laminate flooring. 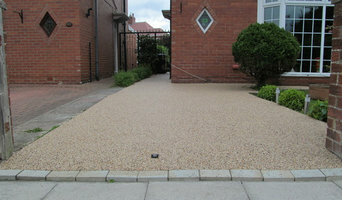 Your carpeting and flooring professional might work closely with Newcastle upon Tyne, Tyne & Wear contractors, interior designers and others in the home building and home improvement industry. Here are some related professionals and vendors to complement the work of carpet & flooring: Interior Designers, Design & Build, Specialist Contractors, Main Contractors, Home Builders. What do I need to ask flooring manufacturers, installers and carpet fitters in Newcastle upon Tyne, Tyne & Wear before I hire them? How long have so been in the flooring business or working as carpet fitters in Newcastle upon Tyne, Tyne & Wear? Find carpet fitters and flooring experts on Houzz. Narrow your search in the Professionals section of the website to Newcastle upon Tyne, Tyne & Wear carpet fitter and flooring professionals. You can also look through Newcastle upon Tyne, Tyne & Wear photos by style to find a floor design you like, then contact the floor companies or carpet fitters in Newcastle upon Tyne, Tyne & Wear that worked on it.